When you go on vacation, you want peace, fun, and relaxation. This can be particularly true for Houston residents, who want to escape the dry and dusty landscape of Central Texas. If you work and drive in Houston, you are probably trying to go to an exotic place to escape the daily grind experienced in daily activities like work and chores that make up the day for most people in the Houston and Harris County areas. 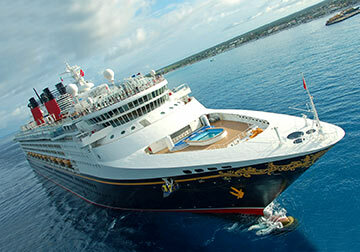 A cruise, for many people, can be the ideal escape for getting some much needed rest and relaxation. Whether you have been injured in a recreational boating accident, as a member of a crew, or as a passenger on a commercial cruise ship, Houston personal injury lawyers are here to help you. 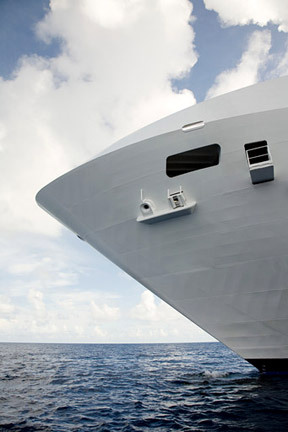 Why hire a Houston, TX Cruise Ship Injury Lawyer? The Death on the High Seas Act, or DOHSA, applies to any death occurring beyond 3 nautical miles from the shore of any State or U.S. Territory. Liability under DOHSA may be premised on a variety of legal theories, including negligence, unseaworthiness if the decedent was a seaman, intentional conduct, strict liability, or products liability. Moreover, DOHSA is a broad Act that applies to nearly all decedents whose death occurred on the high seas no matter if they are maritime workers or non-maritime workers. One notable exception is that workers on certain oil rigs or platforms may be covered instead under the Outer Continental Shelf Lands Act (OCSLA). DOHSA may also apply to aviation accidents that occur beyond 12 nautical miles from the U.S. shore. In these cases, application of DOHSA may actually limit recovery for the families of those killed in a plane crash from those in a general wrongful death case. In addition to other types of maritime deaths, Houston Maritime Attorneys experienced in DOHSA will know how best to handle an aviation accident at sea and can help you if you have suffered such a loss. What all this means for you if your loved one died aboard a cruise ship or other type of boat beyond 3 nautical miles from the U.S. shore is complicated. It is absolutely critical that you act quickly and hire an experienced Houston cruise ship lawyer to fight the cruise line on your behalf. Southeastern Texas, including Aldine, Baytown, Bellaire, Beaumont, Channelview, Cloverleaf, Conroe, Deer Park, Friendswood, Galena Park, Galveston, Hedwig Village, Highlands, Hilshire Village, Humble, Jacinto City, Katy, League City, Magnolia, Mission Bend, Missouri City, Pasadena, Pearland, Porter, Sealy, South Houston, Spring Valley, Stafford, The Meadows, The Woodlands, Waller, West University, and other communities in Fort Bend County, Harris County, and Montgomery County. SServing clients throughout Southeast Texas, including Alvin, Anahuac, Angleton, Atascocita, Austin, Baytown, Beaumont, Bellaire, Brookshire, Brownsville, Bunker Hill Village, Clear Lake, Channelview, Conroe, Corpus Christi, Dallas, Deer Park, Denton, El Lago, Friendswood, Galena Park, Galveston, Hedwig Village, Hempstead, Hilshire Village, Houston, Humble, Hunters Creek Village, Huntsville, Jacinto City, Jersey Village, Katy, La Porte, Laredo, League City, Liberty, Lubbock, Midland, Missouri City, Nassau Bay, Piney Point Village, Pasadena, Pearland, Plano, Richmond, Rosenberg, San Antonio, San Marcos, Seabrook, Shoreacres, South Houston, Southside Place, Spring, Spring Valley, Sugar Land, Taylor Lake Village, Texas City, Tomball, Waller, Webster, West University Place and The Woodlands, and other communities in Brazoria County, Chambers County, Fort Bend County, Galveston County, Harris County, Jefferson County, Liberty County, Montgomery County, Walker County, and Waller County.